Turn these into Holly Wreath Cupcakes by using green-tinted frosting instead of orange. Squeeze circles of red decorating gel on each cupcake, and decorate with small red cinnamon candy berries. Get the kids to help! 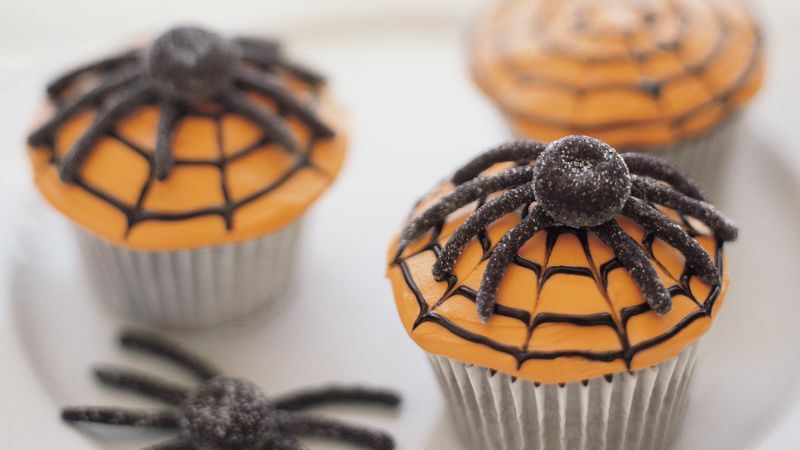 Kids can make spider legs without cutting by pinching and gently rolling gumdrops back and forth between their fingertips into long thin strips. The more they roll them, the stickier they become, so have extra sugar handy to make them less sticky.